ITS stands for Intelligent Transportation Systems. These systems offer safe, time-efficient and financially-friendly solutions for transportation and traffic management. Through technological applications and other sources, ITS communicates to drivers through real-time messaging in order to keep them safe and cautious while approaching hazardous work zones. ITS incorporates real-time data capture, real-time dynamic applications and data processing in order to output safety measures and communicate them to motorists on the road. 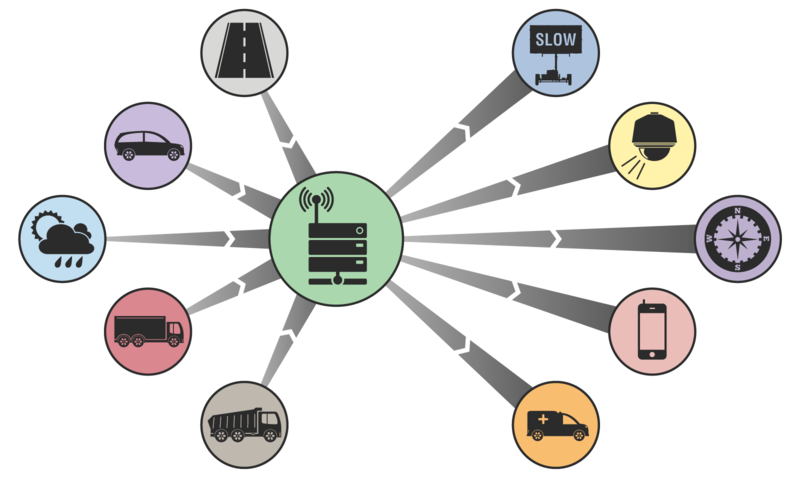 The real-time data is captured through infrastructure, trucks and other vehicles, weather and work zones. This data is then sent through a data processing environment, which is an automated system that processes and relays the information. The data is communicated through real-time dynamic applications including dynamic messaging, live videos, real-time travel info, mobile apps, and accident and safety alerts. The Federal Highway Administration (FHWA) encourages the use of ITS in order to prevent fatal accidents and casualties on the road. ITS is a simple solution for contractors, even if they are not tech-savvy professionals. These tools are easy to use and beneficial for not only for motorists, but also for construction companies and operators. See examples of our ITS solutions.